The 49-year telecommunications career of John G. Reynolds spanned not only the operating company ranks and the trade press, but also active participation in telephone associations and the Independent Telephone Pioneer Association. He began his career with Illinois Bell as an accounting clerk in 1928. He started contributing articles to telephone publications in 1931 and was hired by Telephony magazine as an associate editor in 1940. `Reynolds became managing editor of Telephone Engineer & Management in 1945, editor and vice president in 1948 and president and publisher in 1961. He remained publisher of the magazine until April 1975, and continued as senior publisher until his death in 1977. He was the most quoted telephone trade journalist of his time and a major force in the Independent telephone industry. 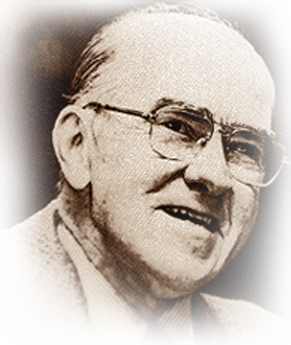 In 1972 Reynolds accepted the executive vice presidency of OPASTCO and saw this association more than double in size to more than 400 members in his five years in office. He launched and edited Telco Digest and a monthly newsletter for OPASTCO members. He also served as president and a director of the Independent Telephone Pioneer Association. He edited and published the Independent Telephone PIONEER magazine and was awarded the ITPA’s first Pioneering Spirit Award in 1973. He died in 1977.